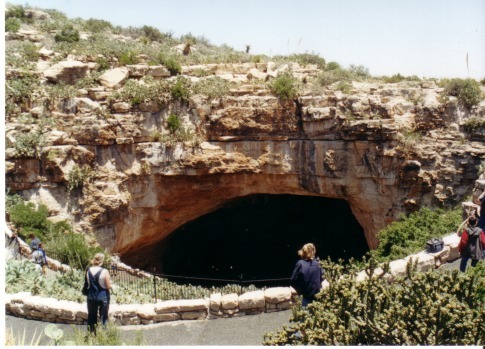 We began our trip at Carlsbad Caverns in New Mexico. 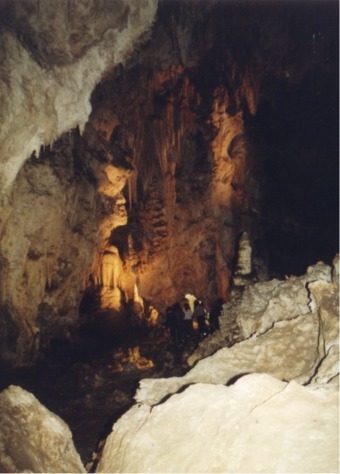 Here's a shot of one of the caverns. If you look closely, so can see people in the walkway in the distance. 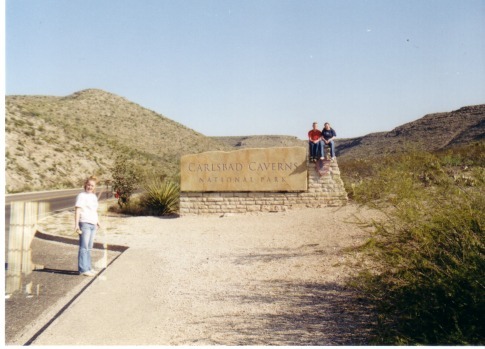 Here is the opening to the caverns. At dusk, millions of bats leave all at once, creating a spectacular sight and sound. 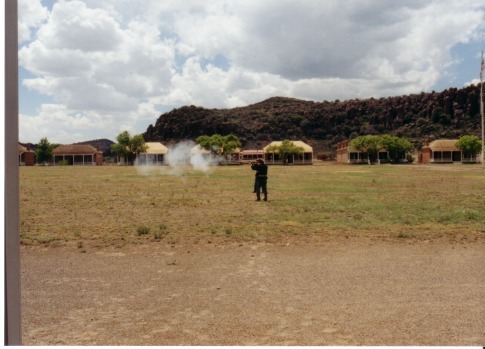 Here at Ft. Davis, Texas, we're watching a shooting demonstration. Those are officer's quarters in the distance. 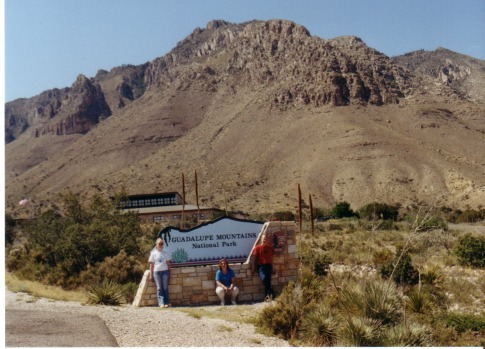 Here's the entrance to Guadalupe Mountains National Park. 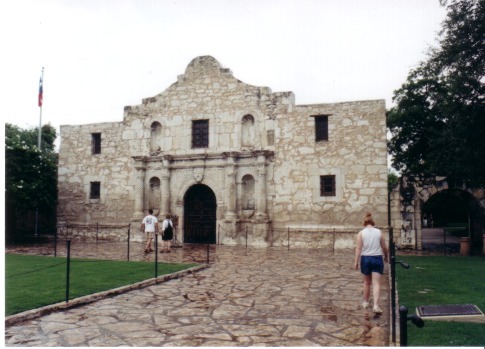 We didn't get to do much here because I locked the keys in the van. Fortunately, the park ranger had the tools to break-in, er, open it. Actually, there's not a lot to do here, just hike. Here's an action photo. 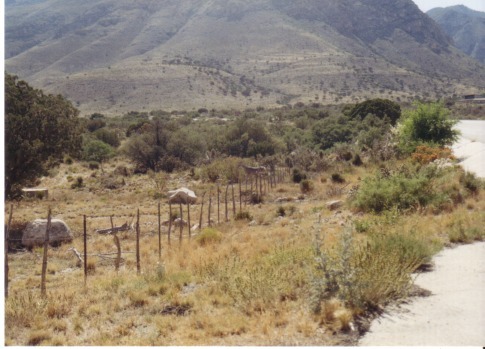 In the middle of the photo is a deer in midflight, jumping over the fence. Then we went to a ghost town. 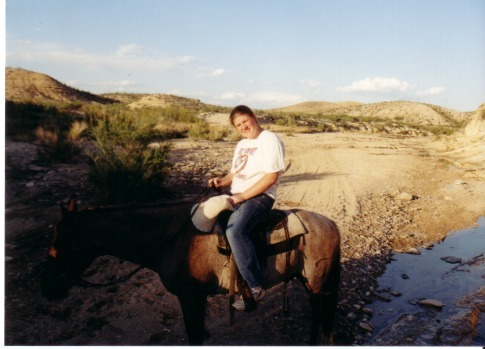 The highlight was the horseback riding. Since I was in the back of the pack, I got a lot of great shots. 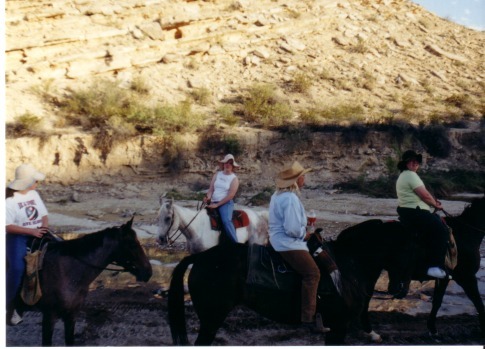 Sarah is on the white horse and Melba on the brown. Here, the horses are taking a water break. Abby is on the left, our guide is in the foreground. A close up of Abby. 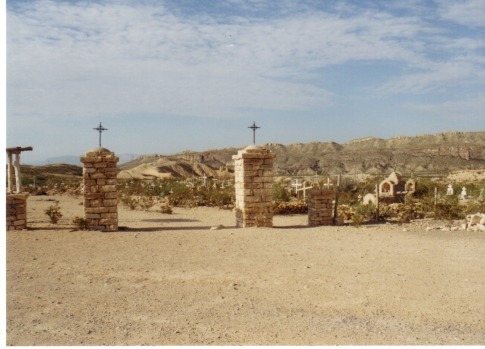 Here's a graveyard in the ghost town. 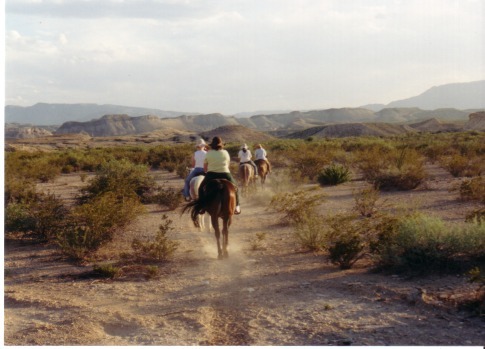 Now we move on to Big Bend National Park. 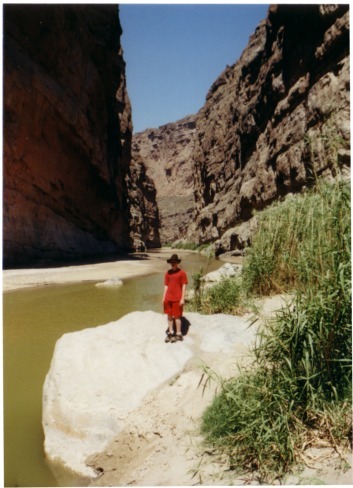 Here is Lee on a ledge overlooking the Rio Grande River. 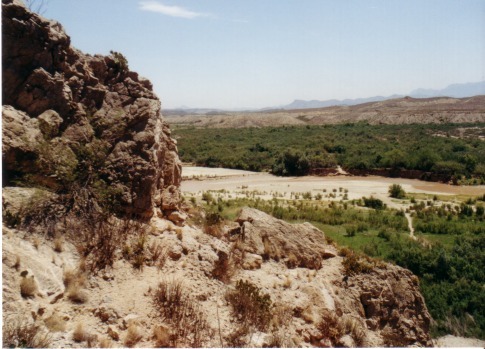 Here's a view of the Rio Grande Valley from a hiking trail. 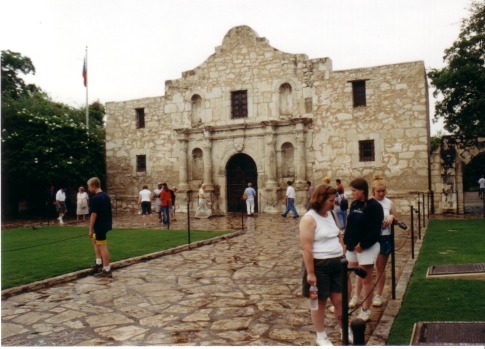 Our last stop was the Alamo in San Antonio.